It's Father's Day again here in the USA. It feels like only yesterday that we were celebrating Father's Day but I guess seeing as Kim gets two of them a year (June for USA and September for Australia) it really wasn't that long ago. 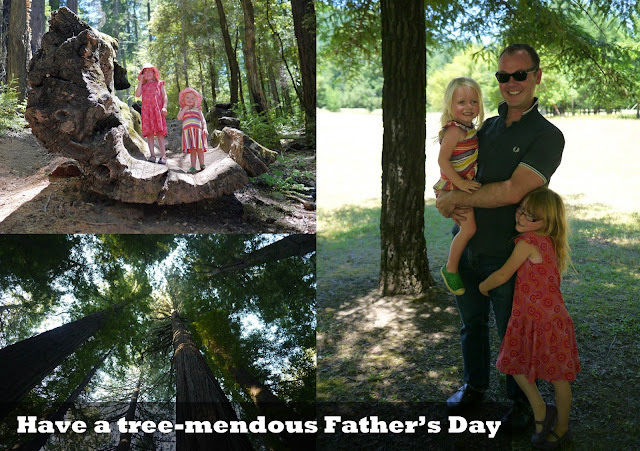 Here's a look at the card I made for Kim using photos from our recent trip to the redwoods. Wishing all the Dads out there a "tree-mendous" Father's Day!